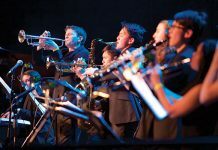 Joey Santiago grew up on 1960s surf rock with bands such as The Ventures and The Shadows commanding him to pursue an emotive, uninhibited style of lead guitar. 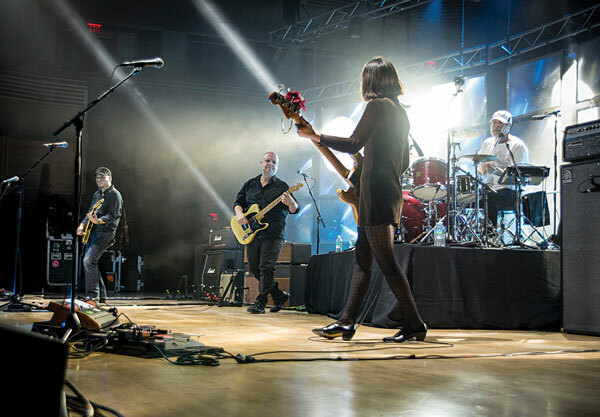 April 11 | 7 p.m.
Once they started gigging the Boston area, the Pixies quickly caught the attention of a young, enthusiastic college music scene with their obscure lyrics, inane guitars and minimalistic arrangements. When he met Black Francis (born Charles Thompson IV) in a University of Massachusetts dormitory in 1986, the spark of the Pixies was born. “He had my vague, not-necessarily-on-point sense of humor and he was writing songs that were original and that’s what I always wanted to do,” says Santiago. Both artists dropped out of college and moved to Boston where they put an ad in a local music magazine, The Phoenix, looking for a female bass player who liked both Peter, Paul and Mary and Hüsker Dü. The only person who responded was a 25-year-old named Kim Deal, who showed up to the audition without a bass because she had never played one before. Back in those early days, Pixies’ rehearsals were actually quite disciplined. On releasing iconic LPs “Surfer Rosa” in 1988 and “Doolittle” in 1989, the Pixies flew to the top of the college radio charts. Although their records sales were relatively modest, their influence reverberated throughout the early 1990s alternative revolution with artists such as David Bowie, U2, Nirvana, Radiohead, Weezer and Pavement extolling the uncanny lyrics, off-beat timing and exaggerated dynamics that came to define a musical generation. After releasing two more albums and touring the world, Pixies broke up in 1993. Meanwhile, Santiago started a family, dipped his toe into composing and spent two years thinking about himself and staying in bed. 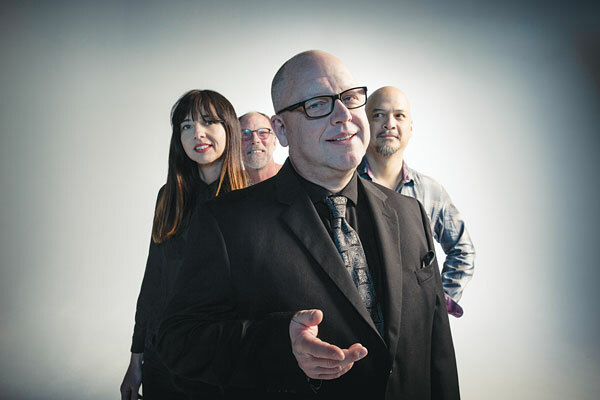 Almost every year, there was a buzz that Pixies would get back together. Pixies will release their seventh album this September. “It’s a mish mosh of songs that came together, but it still sounds like Pixies to me,” says Santiago. If they even ever really had any hits to begin with, they wouldn’t promise to play them for you anyway.